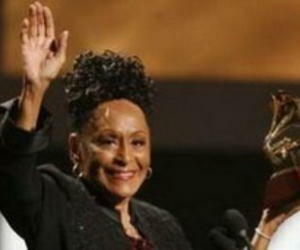 The Cuban singer Omara Portuondo, known as the Diva of Buena Vista Social Club, is part of the artists that will prestige the X Edition of the Summer Musical Festival "July Sounds Good", in Rome. The Irish rock band The Cranberries, one of the most successful groups of the 1990 will also sing in the event from June 25 to August 5, according to the organizers. Those concerts broaden the cultural offers of Rome during the season and give Romans and tourists the possibility to watch live those music stars, they considered. In that sense the foundation Music for Rome has programmed a wide selection of musical styles, which will be presented in the Park of Music, in this capital. The Italian Feast will also count with the presence of the American folk singer Joan Baet, the ex leader of the British band The Smiths, Morrisey, the Italian Fiorella Mannoia and the American big band Pink Martin. The list also includes the American trio formed by Keith Jarrett, Gary Peacock and Jack DeJohnette, which is currently on top of the Jazz music.